In The Unwritten Law Chesney Snow, award-winning actor, poet and songwriter, wants to say ‘black lives matter’ but without using these particular words in that particular order. But be in no doubt – he says it loud and he says it clear. The piece begins with Chesney’s lone beat-boxing. Of course – he’s a pioneer in this field. But the story begins with the lynching of his great uncle. Strange fruit barely ripened by the sun for – yes, yet again – a crime he hadn’t committed. We follow Snow’s mother, ‘Pepper’, (‘one of the finest women on campus’) through attacks which time and time again bring her to within an inch of her life, and closer. We watch and listen as she raises her son and daughter single-handed, moving them from state to state running from one violent, abusive situation to another, desperate to keep her children safe, and not always succeeding. At the core of it all is Chesney’s relationship first with his absent father (‘I feel the rage at my father not being on the page in my book of life’) and then his absent son (‘We lost our human rights because we didn’t comply’), when the system places the child in the care of his mother’s dysfunctional, criminally abusive white family instead of the loving care and safety of his black father’s. This isn’t a laugh-a-minute show by any means. But by god it’s a powerful one. And it does have its lighter moments – much-needed and exquisitely crafted into this tragic tale. It slides imperceptibly between poetry and prose, marrying spoken word with wonderfully sinuous contemporary dance and a finely-interposed musical score which work together to create total theatre extraordinaire. Dancer/choreographer/director Rebecca Arends moves with Maleek Washington in that way in which only Vincent can swirl together two stunning oils to create something even more beautiful, and musicians Khaw (piano) and Tiruchelvam (cello) manage that near-impossible feat of being an essential part of the performance whilst remaining unnoticed. The score is superbly attuned to the word, the musicians to the performance unfolding before them. Occasional and finely-judged projections by Emre Emirgil add visual richness, as does exciting lighting design by Ro-z Edelston. The close makes it painfully clear how some lives are lived in the full knowledge that in every breath they may be extinguished in an instant because, in the eyes of the person with the gun or the bat or the badge or the car-as-weapon, to end this person’s story right here and right now is the preferred option. Just because of the colour of their skin. But the closing moments also make a strong statement (‘It was like actors were warriors with words’) about the power of art to move past mere words, to win hearts, to open minds, and to rally people. Well, I tell you something…if The Unwritten Law doesn’t rally you to do something – anything – to speak out ‘black lives matter’ using those particular words in that particular order, or any other words in any order as long as they say the same thing, and if it doesn’t rally you to try to effect change, then I challenge you to find anything that will. 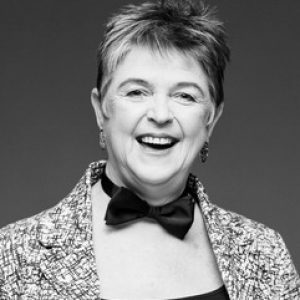 Sue Bevan is an international award-winning playwright, director and performer. She is founder and artistic director of the UK’s Seren Theatre Company. Sue holds a Masters degree in Contemporary Theatre and a B.Sc in Economics and Politics. Her current solo show, An Audience With Shurl was nominated for the Outstanding Performance Award at Prague Fringe and has been performed in Cape Town, Boston, New York, Stockholm, London and Edinburgh, garnering consistent 4* reviews.